I always get a little melancholy after the holidays, but I don't think I'm unusual do you? I think my roommate Hayley believes that it comes from me being old as the hills LOL. She doesn't put it just that way, but I pretty much know what she's thinking. Thanksgiving and Christmas and New Year's have been so much fun since she's gotten to town, my little houseboat feels like a party all the time. And now that she's gone back to working like a crazy woman, and her mother Janet is back in New Jersey tending to her man, I've decided to take a volunteer job. Maybe your town doesn't want 80-year-old volunteers, but here in Key West we're valued like gold. When Hayley heard that I was training to be a guide in the cemetery, she went nuts. 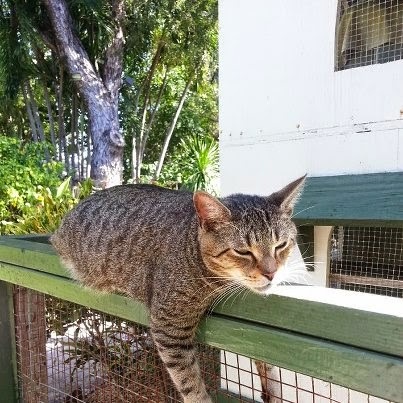 "Why can't you pick something like being a guide at the Hemingway house? You'd get to talk about all those cats? Or good gravy, you could give tours at the Oldest House or the botanical garden?" But I just laugh and tell her it's not morbid, it's fascinating history. 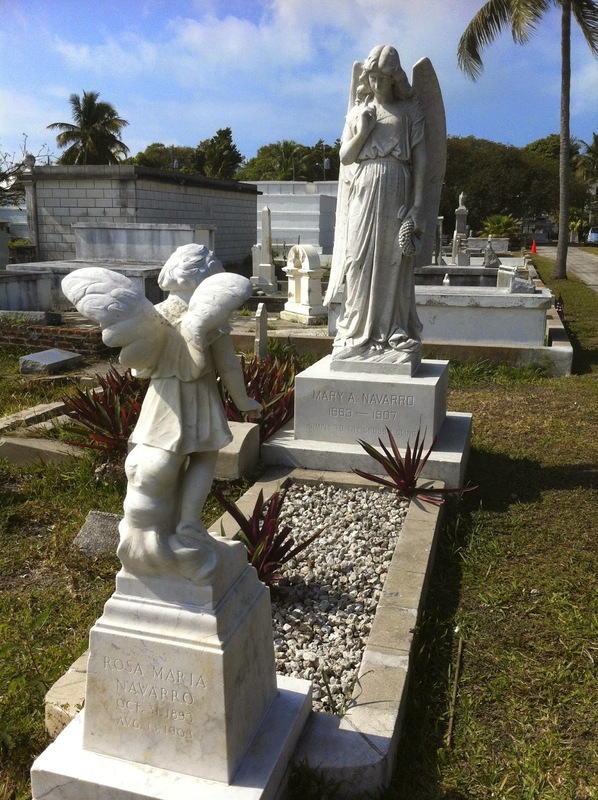 If you want to learn about Key West, go to the cemetery. You'll find the struggles between families, and how people feel about their deceased family members and the terrible history of war-- it's all there. I love to bring the past alive for visitors. They come in thinking the only stone worth viewing is the one that says "I told you I was sick." But they leave just brimming with excitement about the island's history. Anyway you'll hear a lot more about my new job this summer when FATAL RESERVATIONS is released in July. (You can pre-order it now.) But meanwhile if you haven't gotten your copy of DEATH WITH ALL THE TRIMMINGS, I modestly recommend it. Do you think you'll take a volunteer job after you retire? What will it be? Volunteering....I'd love to volunteer at the library. But more than likely I'll be more involved in the American Legion Auxiliary and may be join the VFW Auxiliary. They both sound good Dianne, there are so many possibilities! I would love to volunteer as well, and I do like the idea of working with a library or school. 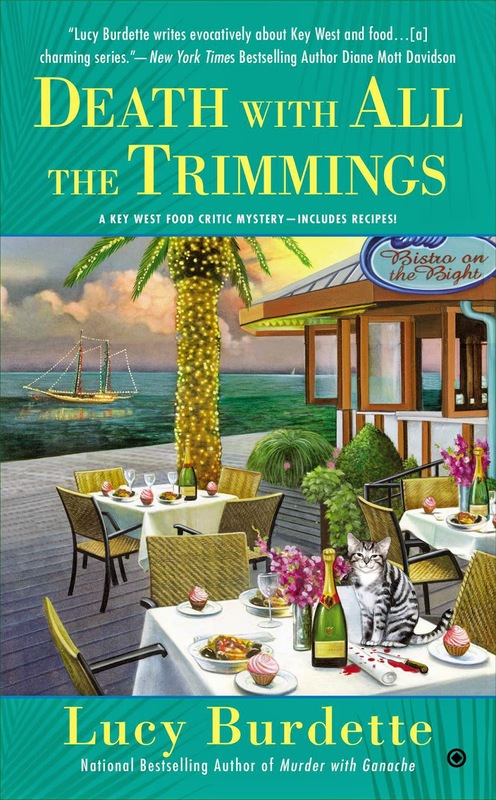 Btw, I just finished Appetite for Murder this morning and enjoyed it so much I've just downloaded the next in the series and will enjoy spending time in Key West today while I watch the snow from my window! As a lifelong cemetery lover, I applaud Miss Gloria's choice. No matter how modern we think we are, we shouldn't forget our past and those who paved the way for us. Is there anything unusual about Key West burials or stones (a la New Orleans and its raised mausoleums)? Many of them are raised, and many have multiple people buried in them! This photo on the blog today is a monument for a mother and her child--the child died first and she never recovered from that heartbreak. Go get them, Miss Gloria! You're the best. I look forward to learning more about the cemetery residents later this year. Now that my husband is retired, we don't really spend enough time in one place to be a volunteer anywhere. At least not on a regular basis. But we do help out with things occasionally. Loved this book!!! When I retire I will probably volunteer with animals or kids. I would love to volunteer at the children's hospital I worked at for 11 years. I hope to volunteer with either our local elementary school or library doing the Dog READ program with my service dog, Skittles. The Reading Education Assistance Dogs (R.E.A.D.) program improves children's reading and communication skills by employing a powerful method: reading to an animal. But not just any animal. R.E.A.D. companions are registered therapy animals who volunteer with their owner/handlers as a team, going to schools, libraries and many other settings as reading companions for children. R.E.A.D. is the first and foremost program that utilizes therapy animals to help kids improve their reading and communication skills and also teaches them to love books and reading. Yes, I would volunteer, probably at a museum or if I could, a publisher's office. I think that would be fun. I was going to volunteer but instead found a job of three hours a day managing a cafe for the senior center (like a meals on wheels for centers).